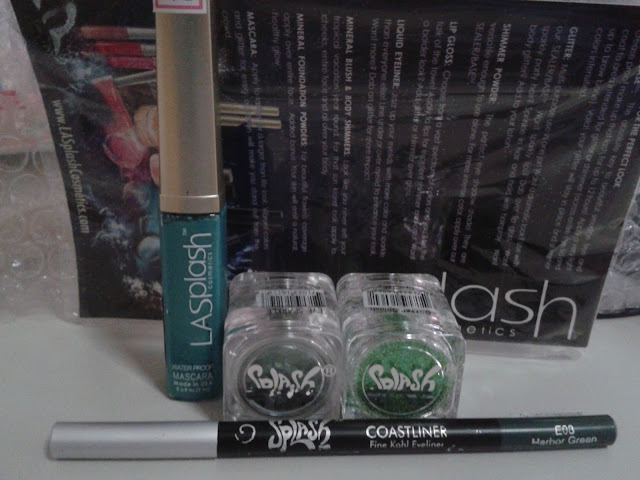 Oh and a BIG thank you to LASplash for the contest prize!Hehes, so much green glitters! Tried the green eyeliner, there's some shimmer in it, colour pay off is quite light but glides on smoothly on my lids so thumbs up for that! Another new semester and new class from tomorrow onwards. Really don't know what to expect but am praying for friendly and helpful tutors and classmates. Heh. Wouldn't Earth be a better place if everyone could get along, be nice to each other? Just another wishful thinking...or maybe it does exist on another parallel universe. Hopefully tomorrow will start on the right path.